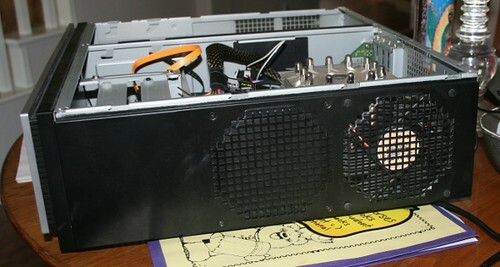 I've actually got two HTPC's to show here, although the tale of their coming together is heavily intertwined. 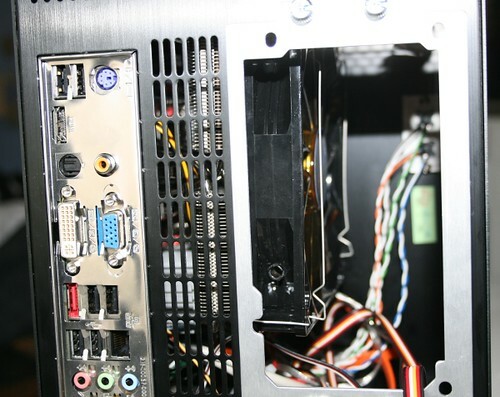 I've had an HTPC for years, housed in an old Antec Ovation II. It was decent, not particularly powerful or all that quiet, but it served its purpose well, mostly playing standard def Xvid .avi files. 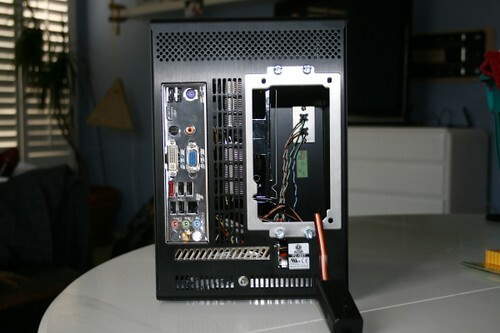 At some point I upgraded it to an Intel C2D E6600 with a Scythe mini-Ninja cooler (80mm Scythe fan) and an Asus 8600GT w/ passive cooling to quiet it somewhat and allow it to handle at least 720p x264 .mkv's. My main living room display is limited to 720p anyway, so it was sufficient although nothing great. It's a great system, able to handle all the files I've thrown at it, and is almost dead silent. 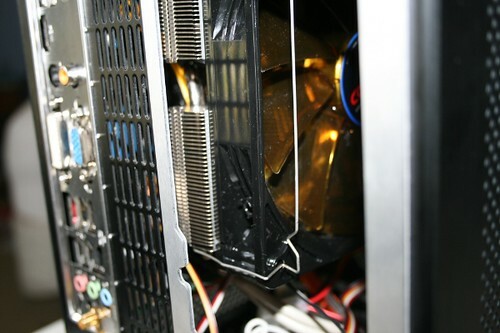 The PSU is crazy quiet, and the Scythe 120 fan is also really good. After reseating the NB cooler with better thermal paste, and adding the 40mm Scythe fan, I've got no overheating issues there at all, and it's also essentially noiseless. I mounted the mini-Ninja with a Thermalright 775 mounting kit, something I would recommend to anybody, as I truly detest the 775 push pin mounting. 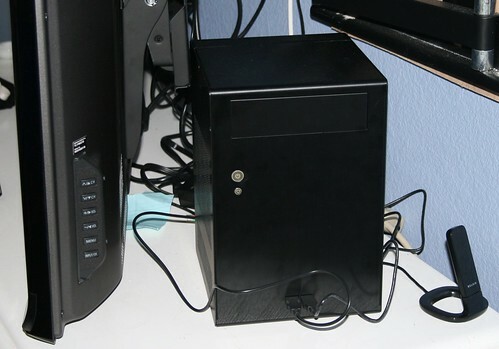 Unfortunately, the Antec 2400, as much as I like it, just did not really fit size-wise where we wanted it in the bedroom. I ended up having to put it behind the TV, on the case's side, which of course is not what it's designed to do. So, long story short, I moved that HTPC down to the living room, and decided to rebuild my old HTPC to fit better in the bedroom. I should say, the new build kind of a kludge, and not necessarily something I would recommend to anybody else, but I thought you all would enjoy it nonetheless. 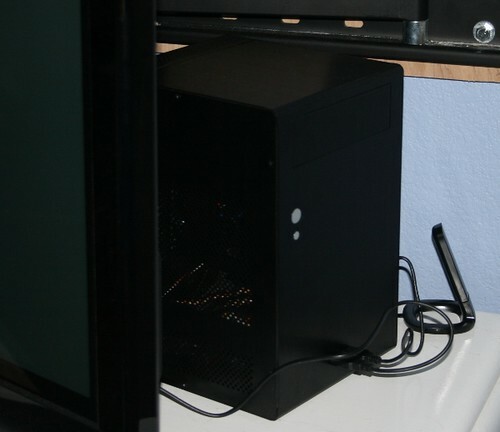 As you can see, it does fit quite nicely behind the TV, so in that sense the Lian-Li case is precisely what I wanted. OTOH, it's not a very good case, imo, and is poorly designed overall (although it looks nice). 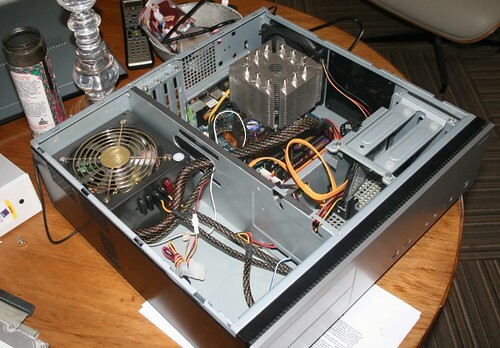 Knowing I would likely use a PicoPSU, I didn't have to worry about fitting a large PSU in above the motherboard, and could pretty much use whatever CPU heatsink I wanted, even a big tower. But since there would be no case fan, I wanted something that was down blowing, and that would help with any NB heat issues on the Zotac board. I would have happily gotten a Scythe Zipang, but my hatred of the 775 push pin mounting drove me to Thermalright. I was really intrigued, however, by the less expensive Cogage branded Thermalrights, however, so I thought I would try out the down blowing MST-140, knowing that even if it wasn't quite the performer the Thermalright AXP-140 might be, I could undervolt the 140mm fan sufficiently to achieve good cooling and near silence. And generally that has been the case, although I ended up just using a Zalman Fanmate to dial down the fan instead of Speedfan as I usually would do. Also, the heatsink did not fit into the case well, hitting the optical drive cage, but since I wasn't going to need an optical drive, I just ripped the cage out. Another important point about the Zotac MB is that the included WiFi adapter is nice and space-saving, but since it's only 802.11g rated, it just couldn't handle high def files (at least on my n-based home network). I disabled it, connected an USB 802.11n adapter and am having no stuttering issues with even 1080p files. Couple of other points: the Adesso wireless keyboard is pretty bad. I wouldn't recommend it. Gyration is much better, in my experience. I'm using Windows 7 with both of the builds, and have been very happy with it. I've had a number of issues with getting Ubuntu (9.04 Jaunty Jackalope) working correctly with VDPAU graphics acceleration sadly (although I really love both XBMC and Boxee) so I'll probably try again with the next major release. On the living room HTPC I also have a Hauppauge HD-PVR connected, and right now running that in Linux is a bit of hassle as well, imo. In Windows 7 I just use Media Player Classic-Home Theater to take advantage of GPU acceleration on media playback, and it's great, no problems at all. The Grytion mouse/remote and keyboard have a lot of built in functionality that I can't use yet in Windows 7, hopefully they will release some updated software soon. Very nice builds! I'm envious of your Vertex, but couldn't bring myself to pay the premium just yet. How are your temps for the GF9400 in speedfan? I'm curious because I was on the fence between the mini-kaze vs the thermalright tower cooler, but ended up ducting instead. Also, are you running your S-FLEX @ 800rpm or undervolted? 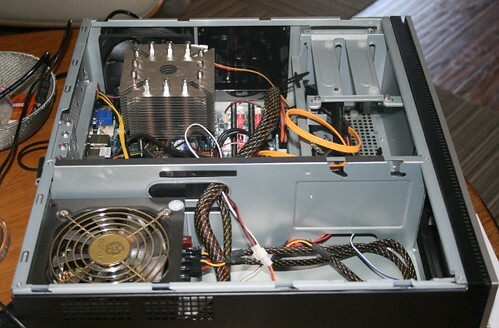 Since you have a fan on your NB, you should be able to get away with a lot lower revs on the case fan unless your ambient temps are high. The temps on the GF9400 are fine, I actually don't really monitor it any more, since Speedfan never flags it as an issue. I'm running the S-Flex a little undervolted, but not much. It is a really, really quiet fan, imo. It's always a good sign when you have really put your ear next to a fan to determine if its truly on or not. What kinds of temps are considered "fine" is pretty subjective, so i hope you'll excuse the prying. For reference, my typical long-session usage temps are at 58Â±2Â°C in speedfan and a so-far unrealistic full CPU+GPU load is ~71Â°C. Ambient is typically 16-20Â°C. How much of an improvement does the mini-kaze give you? Understood. Let me get some numbers for you. I mounted the mini-Ninja with a Thermalright 775 mounting kit, something I would recommend to anybody, as I truly detest the 775 push pin mounting. I know this is a really old thread, but can you elaborate on what you did with the mounting kit? I can't picture how you could adapt the existing heatsink to connect with Thermalright mounting hardware. 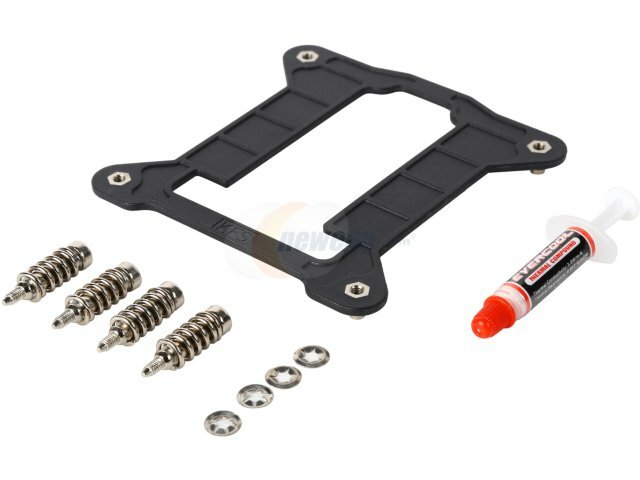 Thermalright sold a Bolt-thru Kit for the LGA775 socket as well ans a few others. It allowed you to replace the push pins on many coolers with bolts and compression springs that attached to a backplate. I used it for a Scythe Ninja on a previous build. I had no idea that this was even an option. I have an old Ninja Mini rev. B that I'm installing on a ASUS Z87M-PLUS LGA 1150 motherboard in my old Antec NSK2480 HTPC case. The push-pins on the Ninja Mini bracket work, but they don't feel particularly sturdy or reliable. A bolt-through solution definitely makes me feel more comfortable. 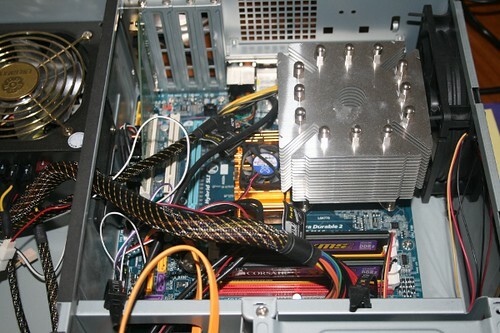 Incidentally, I know this CPU cooler is old, but I haven't seen a lot of coolers that I'm sure would fit in this case. I think the Noctua NH-L12 would probably work, but I'm not sure it would clear my RAM modules. I'd have to probably buy new "low profile HTPC ram" like G.SKILL Ares. As a solution for the ninja mini was found, i would dare to ask about something older! Can something be bought to make this fit on 115x? I apologize for hijacking this thread. Feel free to split these posts off into a new thread if you so choose. Not only is that ancient, but you're trying to go cross-species. So you're in serious experimental territory. It says that it's compatible with the SI-128, which looks similar. Again, all of this is extremely experimental. You could damage your hardware. Proceed at your own risk. Yeah, I saw that it was different but since the TRUE BTK is supposedly adjustable for different pressure, I thought that maybe it could be modified to work. You might need to break out the Dremel and grind off the "fins" that stick up to make it work. Though, at some point, you gotta ask "what is your time worth?". I'd probably just buy a new cooler or a newer USED cooler off of Ebay that was designed for Intel boards. "what is your time worth?" For fun, check this out. Some have done mods with it, in 2005! It's fun to see this old thread renewed, as it makes me think back to those builds (no longer in service). These days I am using an Akasa Euler Thin-ITX based HTPC as my main media player. No moving parts, no sound whatsoever. The other HTPC has been replaced by a Google Chromecast using Plex. Silent obviously, but limited in functionality relative to an HTPC. But in the bedroom, it's sufficient.